Ready for a walk down memory lane, Halloween candy edition? There are so many different candies out there. Some of them are classics like Snickers, Hershey Bars, and Reese’s. 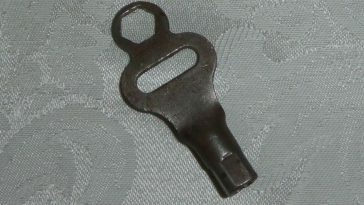 Do you remember some candy from Halloween during your childhood that you can’t find anymore? 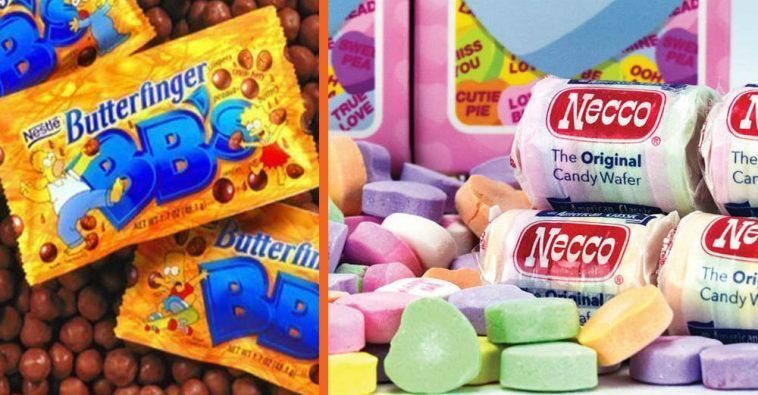 Here are some candies you may have forgotten about. 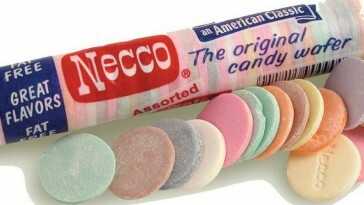 How many of these candies did you use to get in your bag on Halloween? 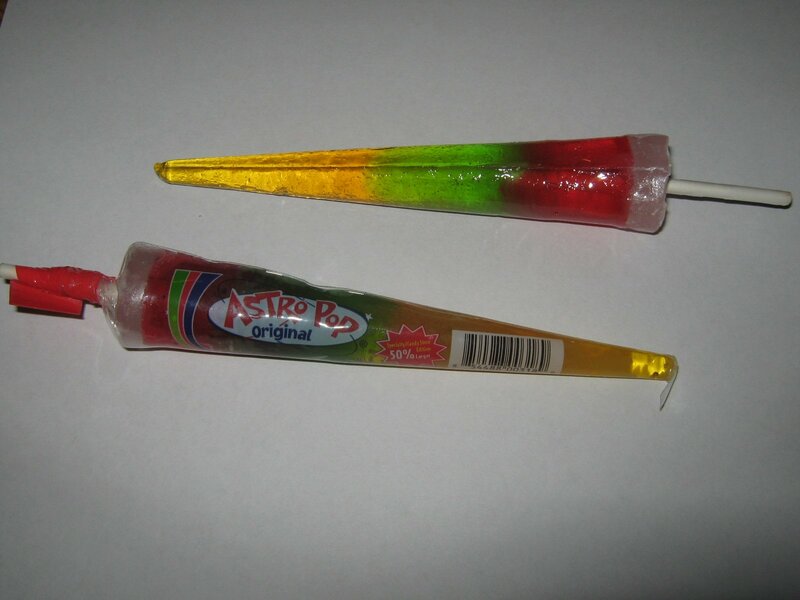 The Astro Pop was created by two rocket scientists who wanted the sucker to look like a rocket. It was a sucker that was supposed to be the longest lasting on Earth. They were generally red, green and yellow. 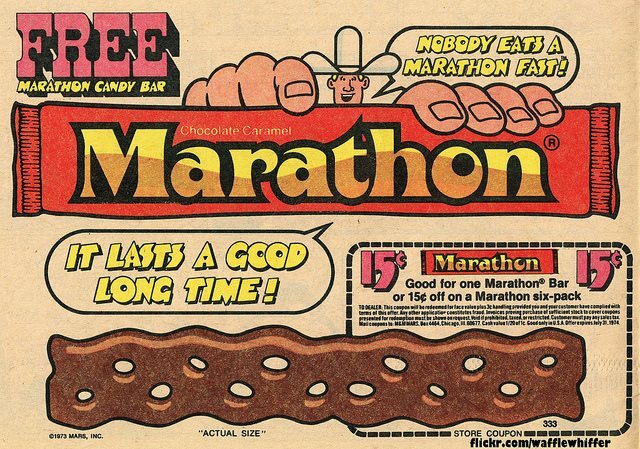 The Marathon Bar was meant to take a long time to eat. It was 8 inches of chocolate covered caramel and gave us all a toothache. 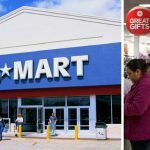 Do you remember the commercial for with Patrick Wayne? The candy bar was phased out in the 1980s. 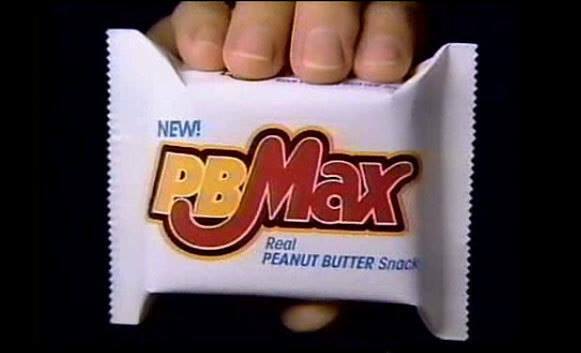 Peanut butter lovers loved this candy bar. It also included oats and cookie, but it didn’t last too long on shelves. 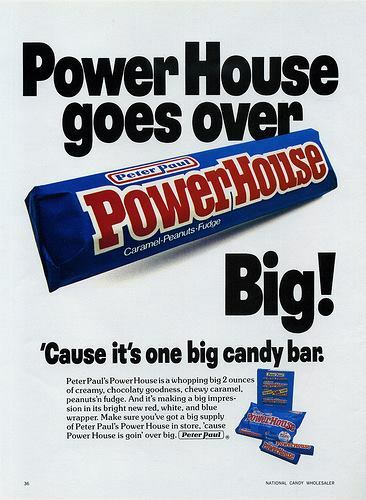 From the makers of Almond Joy and Mounds, there was also PowerHouse. It had peanuts, fudge, and caramel. However, at some point when the company was bought by Hershey in the late 1980s, this candy bar disappeared. The Reggie Bar was made in the late 1970s after New York Yankees Reggie Jackson hit three home runs in the 1977 World Series game. 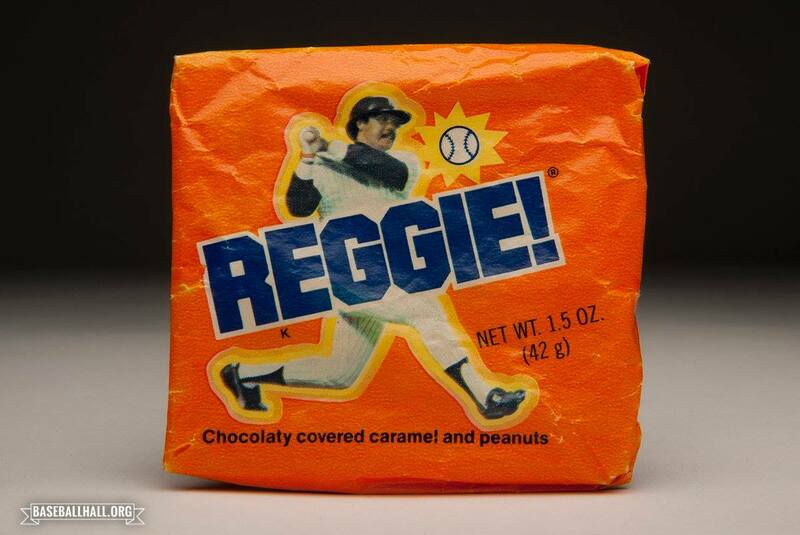 Reggie Bars were given at Yankee’s games and were a delicious mix of caramel, peanuts, and milk chocolate. You might also remember it as the Bun Bar. Read on to the next page for more nostalgic candy! 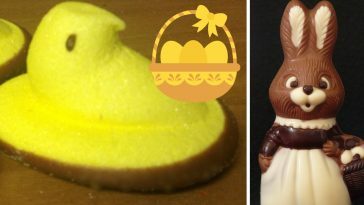 Facts You Never Knew About Your Least (Or Most) Favorite Halloween Candy!